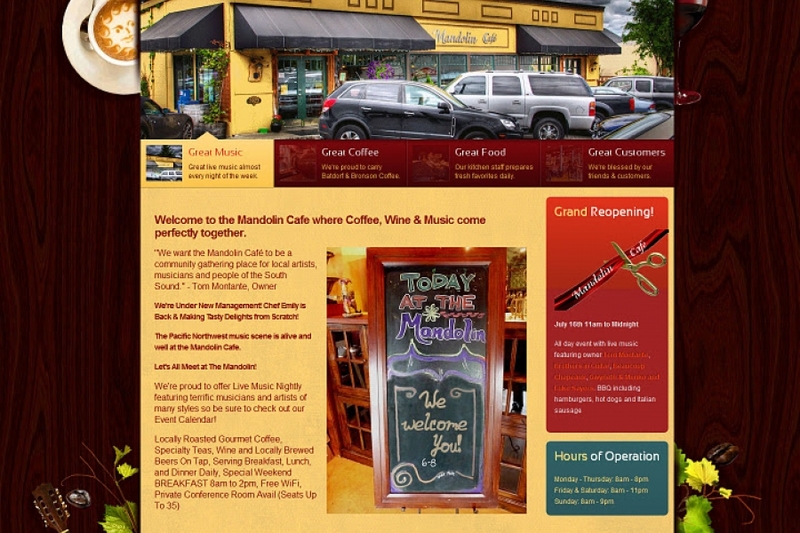 Gorgeous Joomla site design for local coffee house based on their interior colors. Mandolin Cafe	Gallery: Joomla Design Portfolio	Description: Gorgeous Joomla site design for local coffee house based on their interior colors. Views: 3144	Loves: 0 love it!